With the advent of the Affordable Care Act, many small business owners and their employees who don’t have conventional health care coverage through their spouse’s employer are looking for affordable health care plans. To save premium dollars, many of these business owners opt for high deductible health plans. The IRS provides tax benefits for such qualifying plans with the establishment of health savings accounts (HSA’s). An HSA must have a minimum annual deductible for either self-only or family coverage. Once you have established an HSA, you can deduct from your taxable gross income (even if you are unable to itemize deductions on Schedule A) the amount you pay annually for your premiums, up to a certain limit. For individuals over age 55, this annual allowable amount is increased by $1,000. 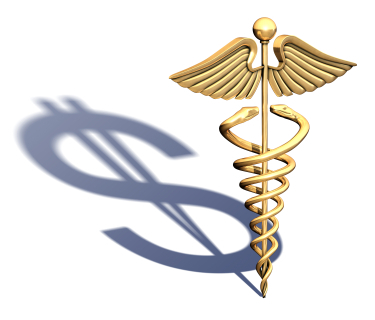 You can use this health savings account to pay for your out-of-pocket medical expenses. As long as you use HSA distributions for qualified medical expenses for yourself, your spouse, or your dependents, the HSA distributions are tax-free. However, if you use the HSA for any other purpose, the disqualifying distributions will be subject to tax and penalty. The advantage to an HSA is that ordinarily these medical expenses would be deductible to you only if you can itemize deductions, and you can only deduct the amount of the medical expenses that exceed 10% of your adjusted gross income. With the HSA, you can deduct your annual contributions to the account, regardless of whether you can itemize deductions or the amount of your adjusted gross income. If your employer contributes to your HSA, that amount is not includable in your taxable wages, but it will reduce the amount of your HSA deduction. We can help you navigate the rules for health savings accounts and maximize your tax benefits from them. If you have any questions about these rules, please contact Andrew Ross, CPA at Bedard, Kurowicki & Co., CPA’s at (908)782-7900 or adr@bkc-cpa.com.